The TÜV-tested and flexible d-flexx rack protection „Alfa“ is an innovative protection for shelves. 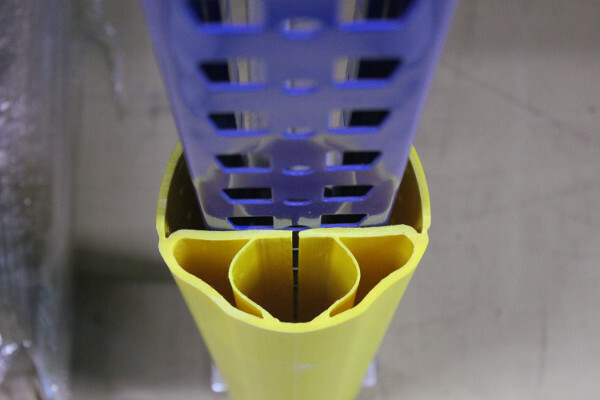 The simple assembly without additional tools allows a quick application and easy handling in the annual rack tests. 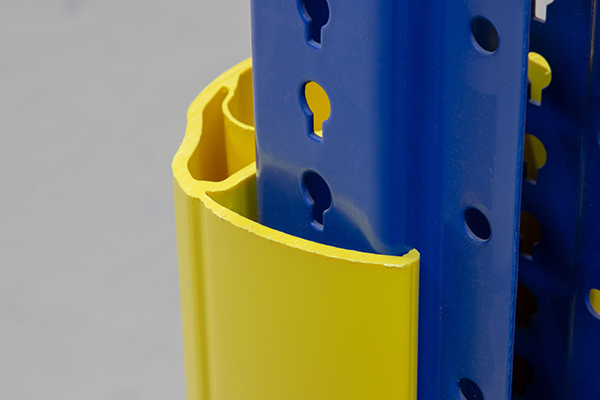 The Rack Guard is clicked directly onto the shelf to be protected. Due to the not necessary ground fastening, the ground is protected in case of a collision. The d-flexx rack protection „Alfa“ is available in three different heights: 400 mm, 600 mm and 1000 mm, for rack legs 75 - 100 mm and 100 - 125 mm.